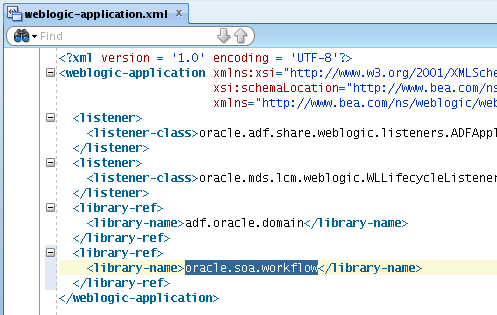 What is great about Oracle BPM - it offers reusable ADF Task Flows to handle BPM Worklist functionality. 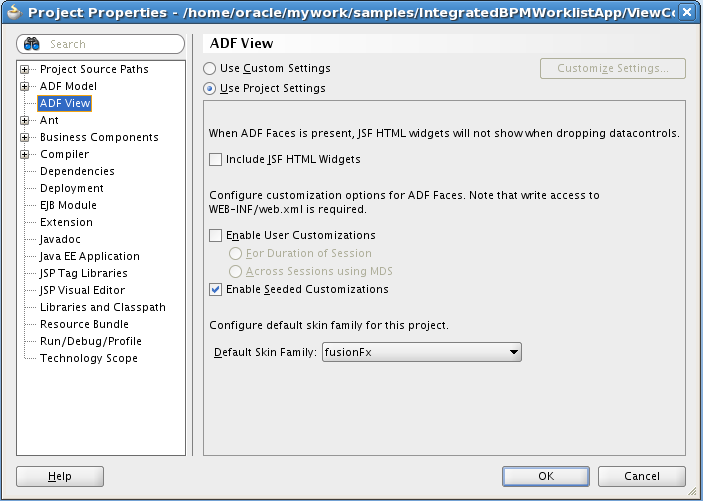 BPM ADF Task Flows are consumed from standard BPM Worklist application, from WebCenter and same ADF Task Flows can be consumed from custom ADF application (so, you don't need to run WebCenter for this). 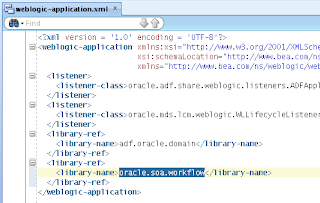 Here is documentation chapter, it explains all step by step how to integrated BPM ADF Task Flows into custom ADF application - Creating Custom ADF Applications with Oracle Business Process Management Workspace Task Flows. In this article I'm going one step further and investigating how you can customize standard BPM Task Flow through MDS Seeded customization. 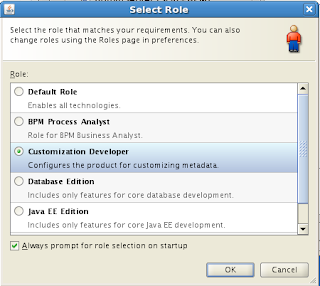 This means you will be able to adapt standard BPM Task Flow to your specific requirements. 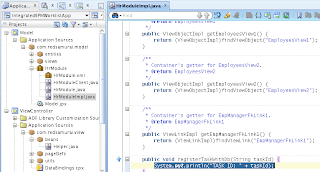 If requirements are very custom - there is a way to access BPM Human Task functionality through Java API (topic for future posts). 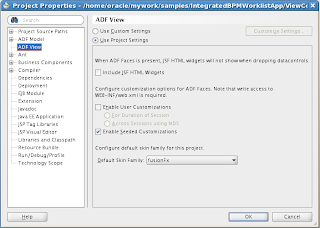 Additionally to BPM Worklist, I have tested access to all ADF Task Flows related to BPM from WebCenter Spaces - it all works inside custom ADF application as well (requires some customizations as well, topic for future posts). Firstly, let me refresh your knowledge a bit and walk trough most important steps described in documentation for including BPM Task Flows into custom ADF application. 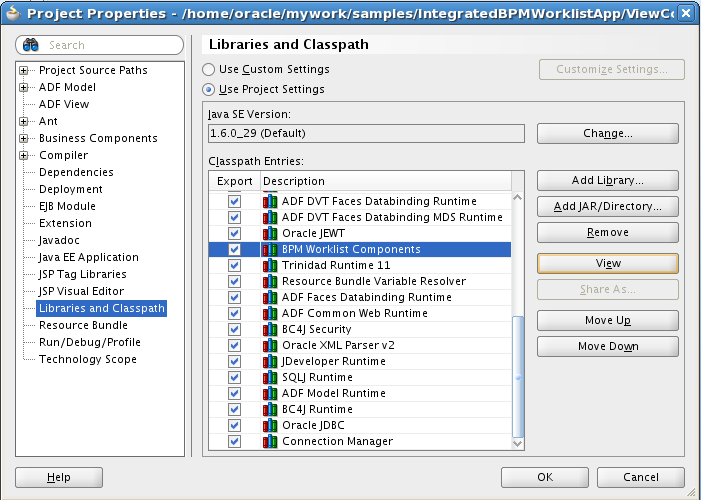 Thats all about including BPM Worklist into custom ADF application. Now will talk about how to customize it. 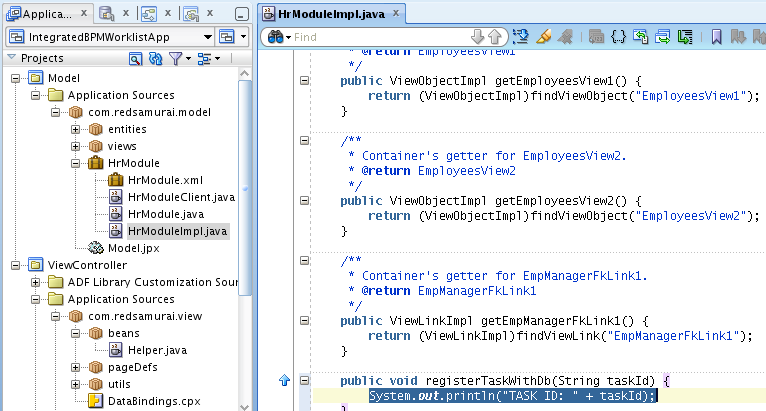 We have build a customer bpm workspace application that inports the adf task flow for the tasklist. Our client has a number of requirments regarding possible customisations to this task list page and I was wondering whether you would be able to comment on whether you believe these would be feasible. I can then start to look at these customisations using this great post as a guide. 1) Auto Refresh of the Task List - Periodoc refresh of the task list to ensure the end users have a relatively up to date view of tasks when they have left the screen for a period of time. (we would need to consider performance implications of any such requirment). This saves the user manuall needing to use the refresh button. I believe technically both requirements possible to implement. Thanks for your reply Andrejus. My pleasure, Dave. If you will get issues implementing these requirements - drop me a line, I will try to help. 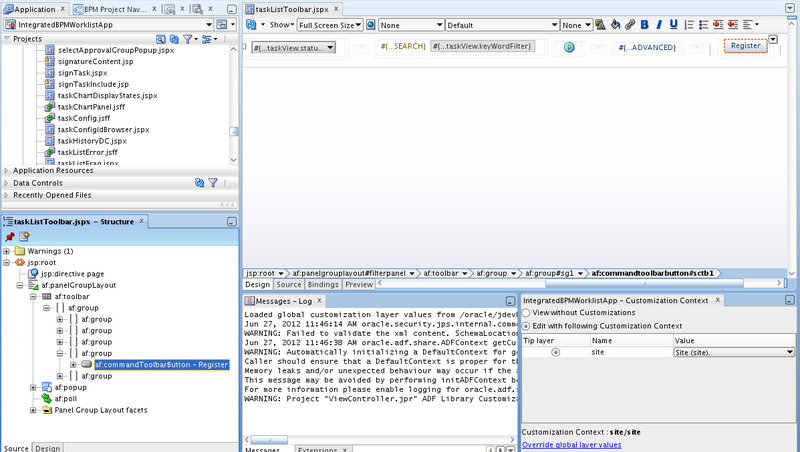 I have downloaded IntegratedBPMWorklistApp and tried to run it on my integrated weblogic server with remote soa server. 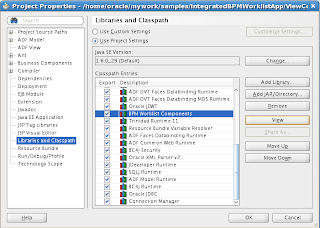 The sample application "IntegratedBPMWorklistApp" is runnable/deployable without doing any additional configuration right? I deployed the application right away in our soa-server and I got these errors. Set the init-param debug_mode to "true" to see the complete exception message. I'm a newbie by the way and I was assigned the Task/Worklist Module in our project that's why I'm trying to learn from your sample application. Thanks a lot Andrejus! More power! I'm not sure, it is working in our environment... Not sure how to help you. We would like to integrate the generic BMP worklist with a Custom Webcenter Portal application. But I see a lot of information online refers to Webcenter Spaces. does this mean we can't get the worklist integrated if we are not using Webcenter Spaces? Is there a work around? This is a pretty interesting post. We have build a ADF Application which consumes "rules-task-flow" to control the vacation period settings. But I need to customize the labels on the rules task flow. For example, the header "Vacation Period" should be displayed as "I am out on Holiday". Many thanks for your time. Your blogs have always helped me in one way or other, thankyou very much. I have a requirement where I need to shrink the column width of the TaskList table in the BPM Workspace. By default, the first column is stretched to its max, so all other columns are very small. Is there a way to control the width of the column in the table? Yes, there is width property for this. I had researched a lot on the width property but could not find it anywhere. I had gone through the ADF taskflow parameters aswell, but couldn't find any. Basically we are including the BPM tasklist taskflow into our own adf pages and displaying it as a region. Could you please tell me exactly where I could find the width property. Appreciate your response, I searched a lot in the documentation, blogs, forums, etc. but of no help. Appreciate if you could help me on this. You should check on af:table component, there is property called columnStretching. Usually it indicates column ID which stretches. Probably you need to change it. 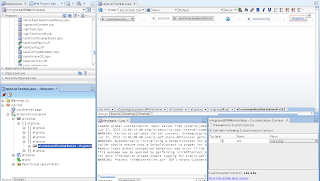 i followed all your tutorials about integrating BPM in ADF but im trying to do this in ADF 12c 12.1.3.0.0 , i have a SOA server which i run from Jdeveloper 12c , after deploying each of the samples and after logging in using adf security all i see is a blank page could you plz give me a sample or guide on how to do this using adf 12c?